Let’s Have Beans for Every Meal!! You are here: Home » Let’s Have Beans for Every Meal!! Dry beans are a special type of food called a “pulse.” Pulses are amazingly nutritious, versatile, affordable, and tasty, making them one of the most important and popular foods on the planet. There are hundreds of kinds of pulses, including the many types of dry beans (e.g., garbanzo, kidney, black), lentils, and dry peas. At home, learning about how to prepare dry beans is an excellent way to make simple, nutritious, and delicious meals without spending lots of money. This video shows just how easy it is. 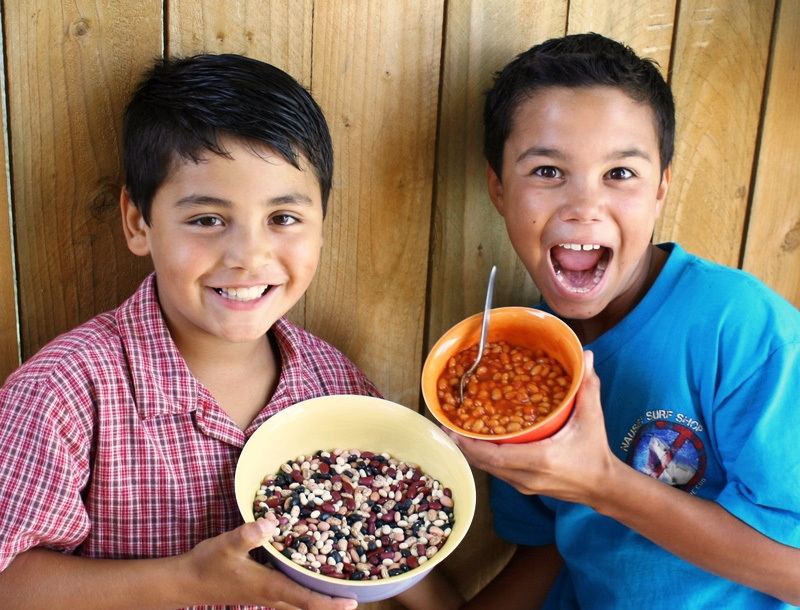 The Whatcom Farm to School website has many other education resources and activities to learn about beans at home and at school. This month also brings us Earth Day which is another great reason to celebrate dry beans since they are the most sustainable crops around! Growing beans in your home garden is one way to have a positive impact on the environment. Check out this infographic from the Food and Agriculture Organization on pulses and climate change! Have fun and eat your beans!